9765- Sweater using Click DK Leaflet with designs for a Sweater using Sirdar Click DK. 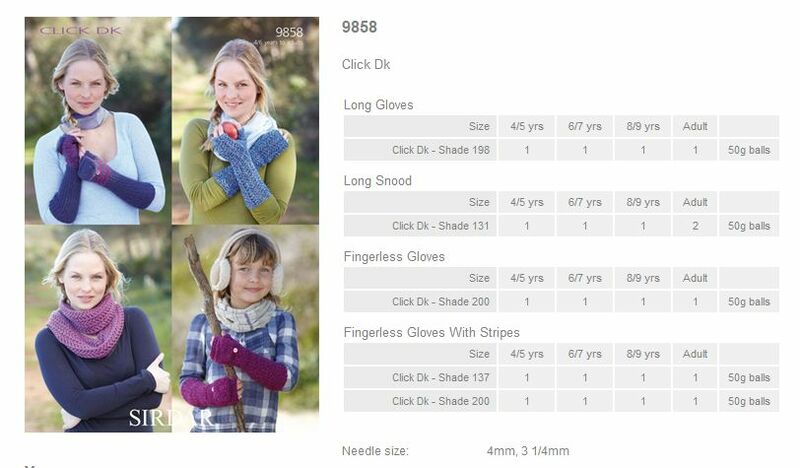 9858 - Long gloves, Long Snood, Fingerless Gloves and Gloves with Stripes using Click DK Leaflet with designs for a Long gloves, Long Snood, Fingerless Gloves and Gloves with Stripes using Sirdar Click DK. 9857 - Sweater using Click DK Leaflet with designs for a Sweater using Sirdar Click DK. 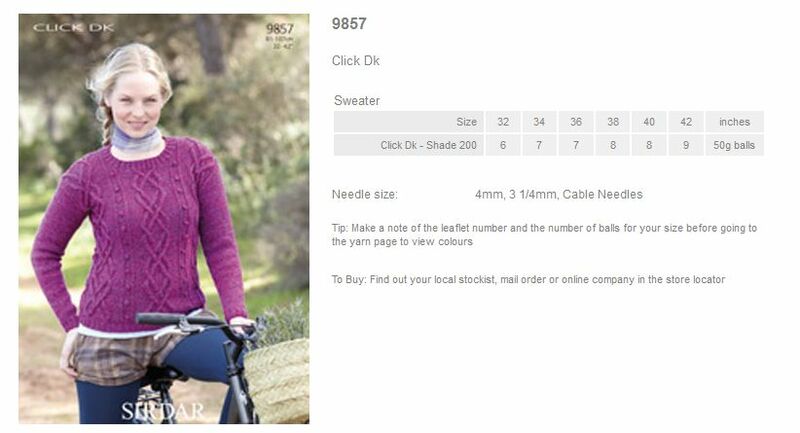 9444 - Easy Knit leaflet using Sirdar Click DK Leaflet with a design for a Waterfall Jacket using Sirdar Click DK. 9443 - Easy Knit leaflet using Sirdar Click DK Leaflet with designs for 2 Sweaters using Sirdar Click DK. 2388 - Hooded Cardigan using Click DK Leaflet with designs for a Hooded Cardigan using Sirdar Click DK.